The START International TBC53-R Heavy-Duty Non-Adhesive Material Cutter automatically dispenses, measures, and round or straight cuts non-adhesive materials. 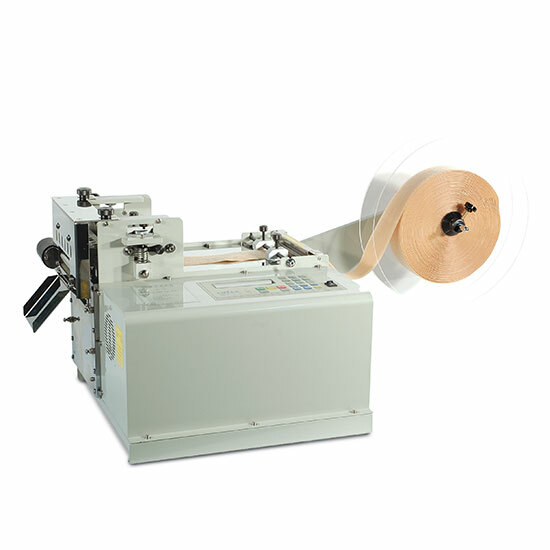 It's ideal for heavy production to cut all kinds of tubing, sleeving, Nomex, Velcro, ribbon, etc. The TBC52-RT cuts up to 2.76" (70mm) wide material or multiple rolls. The built-in high speed operation cuts up to 90 pieces per minute at 2" (50mm) in length.